God has a plan. God is at work. God is in charge. Three simple statements that reveal a grand truth: God is sovereign. He always has been and always will be. God’s sovereignty today is no different from any other day in all of time. However, in the midst of our chaotic and complicated lives, we often forget this simple truth: God is sovereign. Have you forgotten? If so, then you need this reminder. 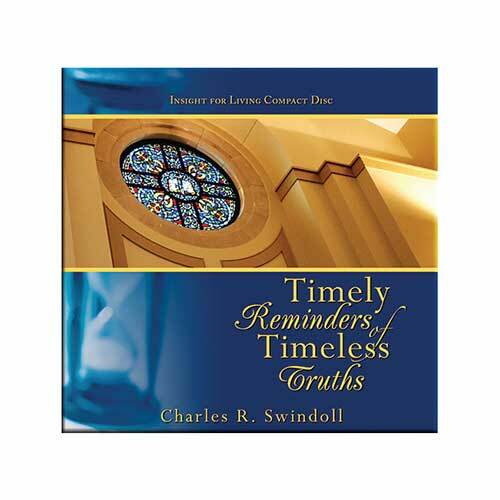 In Timely Reminders of Timeless Truths, Chuck Swindoll walks us through the Scripture to reaffirm the eternal truth of God’s sovereignty and offers four practical warnings to prevent us from forgetting this truth. Copyright © 2008, ℗ 2008 by Charles R. Swindoll, Inc. All rights are reserved worldwide. “It All Belongs to You,” Copyright © 2008 by Steven Stück, ℗ 2008 by Stonebriar Community Church, performed by the Stonebriar Community Church Choir and Orchestra. All rights reserved worldwide. Used by permission.